Where are the best job opportunities for yoga instructors? A lot has changed in the yoga movement over the past two decades. Some developments have been welcome, while others have not, but the sheer volume of job opportunities for yoga teachers is something to celebrate. Today’s certified instructors don’t have to rely on their local studio for employment. Yoga is now so integrated into the western exercise world it seems that everywhere you look new employment opportunities present themselves. Perhaps one of the more lucrative job opportunities for yoga teachers is teaching the most serious students. Notice I didn’t say “advanced.” Many people think flexible means advanced. Some people consider an ex-gymnast or prima ballerina to be a yoga “natural.” Yes, they are flexible, but are they serious about studying yoga? By charging a little more than the next teacher or studio, you separate yourself from the naturals and bargain hunters. 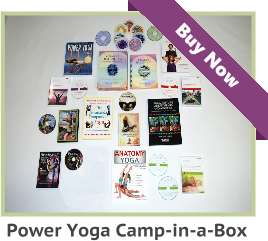 Bargain-hunters: Do you like investing time in students who were attracted to yoga by a bargain basement coupon? When this session runs out, you better serve up some more cheap yoga classes or their gone. One bargain-hunting student came to my free introductory class and bragged to the other new students that she had been to dozens of free classes in the area. She loudly declared that she had never paid for a single yoga class and had a purse full of coupons to torment almost every yoga teacher in the city. Guess what? I don’t teach free yoga classes any more! Naturals: Well, they think they already know it all and they feel like they should teach yoga after one class. Naturals don’t know anything about teaching people Yoga and they don’t understand the intricate aspects, but their naturally flexible and they can’t explain why they can split their legs in every direction, because they don’t know or understand the importance of yoga anatomy. If they hurt a few people who try to copy their pretzel routine, they don’t understand that either. One of the best aspects of teaching serious yoga students is that everybody in your class will be passionate about the art of proper practice! Your students will value your teaching and your technique. Now that’s a priceless relationship. Regardless of your feelings about big business, the truth is that many companies offer various fitness and yoga programs to their employees. Some companies even have private gyms in their buildings. For the most part, corporations often pay 4 times as much as a gym or studio – a perk many instructors find very appealing. As I mentioned above, it used to be that yoga teachers would battle it out for a handful of positions at a nearby studio. And believe me when I tell you, there was a time, not so long ago, when one yoga studio would service dozens of towns. Luckily, today, you’d be hard pressed to find a gym that doesn’t have yoga classes. In fact, most offer several different kinds and hire many instructors. If you haven’t already, it’s time to drop your resume off at the local fitness centers. Even if they aren’t currently hiring, remind them that you’re always available to substitute! 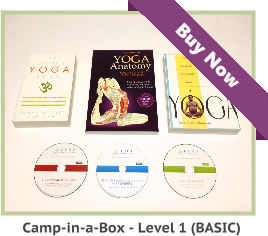 There has never been a better time to be a yoga instructor. Really, the only limitation as to how you can turn your knowledge and expertise into a sustainable career is your own imagination. In addition to the options above, don’t forget about building your own cadre of private clients. 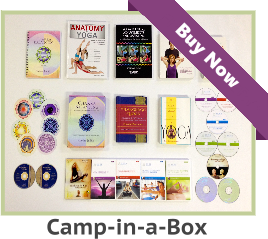 Envision your ideal yoga teaching opportunity, then work to make your dream a reality! You have the tools, now go forth and prosper! Many companies offer various fitness and yoga programs to their employees and that’s why nowadays yoga teachers have many job opportunities.